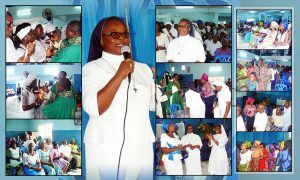 Staff holds her party by the end of the year, preparatory to usher in the Christmas Season. It begins with a programme known as “Christ Kindle”. On the day of the party, each staff surprises his/her secret friend with a handsome gift. Staff dance, dine and relax in the spirit of the Season.